When one hears the name Alsace, it is often assumed that the region is thoroughly French, but it has not always been under French rule. For much of its history, it was part of Germany. The Palatines were emigrants from this middle region of the Rhine River. In the late 1600s and early 1700s, the region was repeatedly overrun by French troops, causing armed conflict, destruction, and famine. 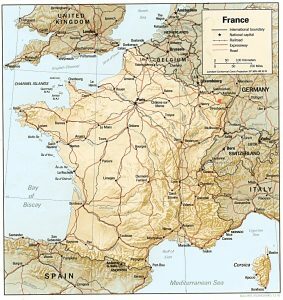 Even after it became part of France, many of the people spoke Alsatian or a German dialect and had German customs. After the Protestant Reformation, many Alsatians worshipped in Lutheran churches, which put them in conflict with the Catholic French monarchy. On the map, a small red W marks the approximate location of the village of Waldhambach in Alsace in the late 17th century. The Ensminger family lived in that village–Waldenbach–very near the Rhine River. I write about the Ensmingers because I am descended from them several times. Both of my great-great-great-great grandmother Elizabeth Miller’s parents were from the Ensminger line. Her father was the grandson of Nicholas Ensminger, and her mother was the granddaughter of Peter Ensminger. Nicholas, born in 1699, and Peter, born in 1694, were brothers, sons of Philip Ensminger and Elizabeth Quirin of Alsace. I am descended from three of Elizabeth Miller’s children, (Thomas Skaggs, Susan Skaggs Withrow, and Cynthia Skaggs Vandal), so my Ensminger ancestry is significant. Additionally, Thomas’s wife, Julia Hunter, was an Ensminger descendant. 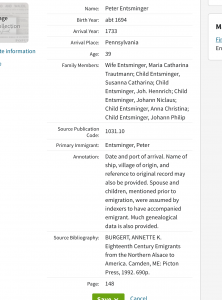 The first Ensminger to come to America was Peter. 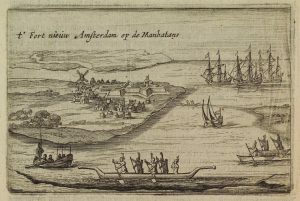 He left Rotterdam aboard the Samuel with his wife, Maria Catherina Trautmann Ensminger, his widowed mother-in-law, Katharina Emmerich Trautmann, and four children, arriving in Pennsylvania in 1733. Peter and Maria Catherina settled in Cocalico in Lancaster County, where two more children were born, and the family attended the Muddy Creek Lutheran Church. Peter was finally able to get 200 acres along Muddy Creek in 1738, but he died in 1739 at the age of 45. Maria Catherina remarried. 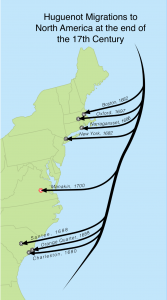 In 1738, right before Peter died, his brother Nicholas and his family arrived in Pennsylvania on the Billender Thistle with another group of Palatines. 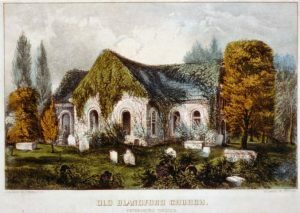 Nicholas and his wife, Anna Ludwig, also settled in Cocalico in Lancaster County and attended the Muddy Creek Lutheran Church, where several of his children were baptized. His daughter Catherine Elizabeth, born in 1742, married Theobalt Mueller (Miller), and they became the parents of Valentine Miller, who later settled in Monroe County, Virginia (now West Virginia). 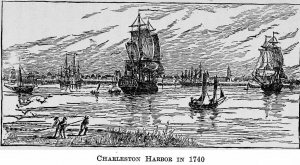 Meanwhile, Peter’s son Philip, born in 1727, and his wife, Catherine Margaret Kessinger, had moved from Pennsylvania to Maryland, but they eventually settled in Monroe County, Virginia (now West Virginia). 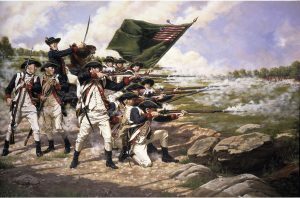 Philip supported the American patriots in the Revolutionary War and is described as an “associator” with the Daughters of the American Revolution (DAR), which has verified that I am his descendant. Philip lived to the age of 80, and his will was probated in Monroe County. I am a direct descendant of two of his children: Susanna, mother of Elizabeth Miller, and Mary Elizabeth, the mother of Julia Hunter. In addition, I am a direct descendant of his uncle, Johannes Nicholas Ensminger. The family relationships are complicated to keep straight unless looking at the pedigree chart. The bottom line is that I am descended from the first Philip Ensminger and his wife Elizabeth Quirin at least four times. The first Philip and his wife, Elizabeth, died in France, never coming to America, but their sons and grandchildren made a positive contribution toward building this country. 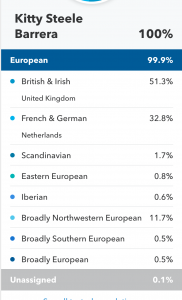 Since the Civil War is in the news, and since I’m really into genealogy, I thought I should take a look at my ancestors who fought in that conflict. I did have one ancestor who was a “train master” for the Union army, but I have never been clear on whether or not he actually enlisted or if he just did that as a job. All of my other ancestors living at that time fought for the Confederacy. The Confederate States of America (CSA) passed its first conscription act on April 16, 1862. This required all men 18-35 to serve in the military. In September of 1862, the age requirement was raised to 45. In February 1864 the age was raised to 50. There were some exemptions allowed. As a result of these laws, many men served only because they were legally required to do so. “Conscripts accounted for one-fourth to one-third of the Confederate armies east of the Mississippi between April 1864 and early 1865,” according to information provided here. What about the others? Why would they volunteer? A few probably believed in the cause of slavery, but most were simply fighting “northern aggression.” They were defending their homeland. Even so, they did not expect their enlistment to extend beyond a few months. It can be safely assumed that some signed up simply because they needed the money, like many today. 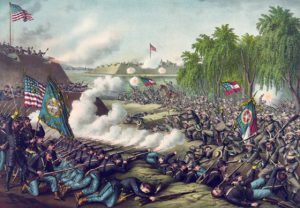 The estimated number of Confederate deaths during the Civil War varies, but conservatively, over 100,000 rebel soldiers died. It seems highly unlikely that they died just so they could keep their slaves. Sgt. George C. Kurtz of Mississippi, according to the 1860 census, was a young husband living with his wife and children in a boarding house. His occupation is listed as “clerk”. In the 1860 slave schedule, his name is not included, which indicates he had no slaves. George enlisted in Company F, 35th Reg’t of the Mississippi Volunteers on June 30, 1862, at Crawfordville, Mississippi. He did not have to serve long because he was killed at Hatchie Bridge in the Battle of Corinth on October 5 , 1862, age 39. Left behind were his widow and three daughters under the age of six. George C. Kurtz was a good husband, a good father, and a good citizen. What kind of legacy does he deserve? Should he be dishonored because he was forced to serve on the wrong side of a war and died before age 40? Cave Johnson of Beaumont, Texas, was the nephew and namesake of former U.S. Congressman and Postmaster General Cave Johnson of Tennessee. He was also the son of Dr. Henry M. Johnson, the grandson of General Thomas Johnson, and the great grandson of Revolutionary soldier Henry Johnson, an immigrant. Though Cave was a hotel keeper, merchant, and riverboat captain, he also served in his community at various times as sheriff, delegate to political conventions, and civil servant. He was married with several children. Despite his work and busy life, the 1860 U.S. Slave Schedule does not include his name; there is no record of his being a slave owner. Nevertheless, he was not a poor man, as one can see by the type of home he had. He served either out of legal requirement or from a sense of civic duty. During the war, Cave Johnson and his friend George O’Brien, a prominent Beaumont public servant, served in Speight’s Battalion. O’Brien’s diary is accessible online and indicates that Cave was sick for much of the war, as were many other soldiers. After the surrender at Appomattox, Cave Johnson was appointed to make sure that freed slaves in Jefferson County were being treated fairly. He died in 1876, about age 52, but I do not know the cause of his death. It seems likely that he never regained his health after the war. His death left my great-grandmother an orphan at the age of two since her mother had also died. What kind of memorial does Cave Johnson deserve? Did he serve his family and community well? Wiseman McKeown of Washington County, Texas, served in the Confederate Army as a private in Company B (Kirby’s Btn.) of the Texas Volunteers, CSA. He later served in Capt. J. G. Thomas’ Company of Waul’s Legion of Texas Volunteers. He was legally required to serve since he was already 18. If he had not volunteered, he could have been drafted. The Wikipedia article on Texas in the Civil War makes clear that not all Texans were in favor of secession, and that many of those who supported the Union were executed. For this reason, many Union supporters had to flee. Wiseman had no slaves, so why did he serve? Most likely, he simply had nowhere to go since his extended family was living in Alabama. At his age, he probably felt he had no choice but to sign up. The record of his service is indicated on his tombstone. Wiseman signed his amnesty oath in Brenham, Texas on December 11, 1865. He later married and had three children, two of whom were teachers. Does Wiseman deserve to be remembered as an honorable man? One of those taken was my great-great grandfather, Anderson McVey. Anderson was the great-grandson of Sgt. 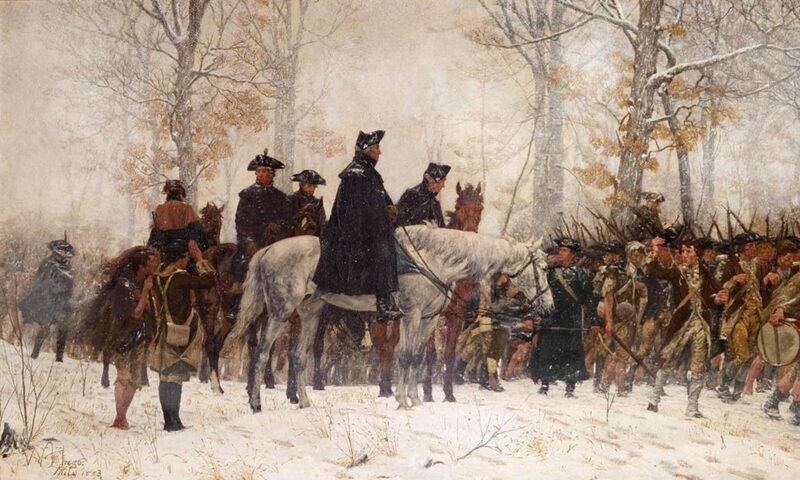 John McVey, a Scottish immigrant who was with General Washington at Valley Forge. 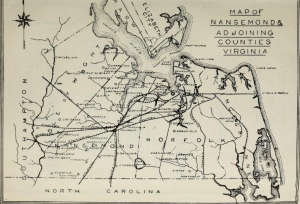 Civil War records from Richmond, Virginia, report an Anderson McVey enlisting at Glade Spring (Company F, 37th Infantry Regiment Virginia) on March 5, 1862, but deserting on April 18, 1862. However, family legend is slightly different; it says that Anderson was captured at age 14, taken away by Confederate troops, and released after several days. Photos indicate that Anderson was a large man, so it is quite possible that as a teenager he looked older than he actually was. In any case, his service in the Civil War was brief. Neither he nor his father was a slave owner. Anderson later fathered 12 children, all of whom grew up to serve their community well. The Skaggs family lived not far from Anderson McVey. 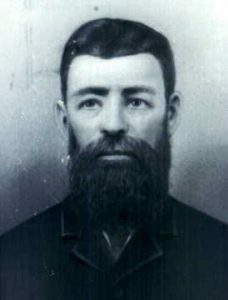 Thomas Skaggs, born in 1808, and his son, Thomas Anderson Skaggs, born in 1842, were both descendants of Revolutionary War patriots. Both enlisted in the Confederate army even though they had no slaves. Thomas was discharged after a year due to his age and disability. His tombstone, above left, shows a Confederate flag, but that picture is from Findagrave.com. I have never personally visited his gravesite and have never owned a Confederate flag. The son, Thomas Anderson Skaggs, enlisted in the 22nd Virginia Infantry at White Sulphur Springs, Greenbrier County, Virginia. He was present on the 10/31/64 roll, but deserted and surrendered to the Union in March 1865. He took an oath of allegiance to the U.S. at Charleston, West Virginia, and was sent north on April 7, 1865, until the war was over. He was 24 years old. Thomas Anderson Skaggs married later that year and eventually had eight children, all of whom were well known and widely respected in Fayette County. How should this father and son be remembered? Also living in Fayette County, West Virginia, was my great-great grandfather Jeffrey Steele, another soldier in the 22nd Virginia Infantry. That must have been the poor man’s army because he didn’t have any slaves, either. That is obvious after taking a look at his house, below right. Jeffrey was the grandson of Revolutionary War soldier Robert Steele, whose immigrant ancestors were from Scotland. Jeffrey had the misfortune of being caught by Union soldiers very near his own home. Notes from 22nd Virginia Infantry, by Terry Lowry, tell how he was arrested and taken prisoner by Union forces on April 24, 1862, in Fayette County. He was sent to Wheeling to Atheneum Prison, and from Wheeling to Camp Chase, Ohio. He was at the Wheeling facility for only four days. On August 25, 1862, he was sent from Camp Chase to Vicksburg, Mississippi, to be exchanged. He was sent on board the steamer Jno. H. Doan on Sept. 11, 1862, with over 1000 other prisoners. He was finally exchanged at Akken’s Landing on November 10, 1862. He had been arrested by the 47th Ohio Regiment and charged with being in arms in U.S. territory and aiding and abetting the enemy, “evidence on hand” (probably food). Also, the following information is included: “First settler on Rich Creek (Romont) Fayette County . . . around 1860. Built first school house at Rich Creek. Taught school in his house at Romont.” Jeffrey Steele is also mentioned in Panorama of Fayette County, by John Cavalier, in the chapter “Rich Creek,” by A. J. Legg, (p. 385) as a trustee of the Rich Creek School. This is a man who raised six fine sons and a daughter, who also raised fine children, including several school administrators. How should Jeffrey be remembered? Then, as now, men were often victims of circumstances and of the times in which they lived. Nothing about their lives was unusually commendable or abhorrent. They were just men, living ordinary lives, trying to take care of their families and be responsible citizens in their communities, but they should not be forgotten. Despite being on the wrong side of the war, they deserve to be honored, both for their service and for the lives they lived. I do not want to give the impression that no one in my family was ever a slave owner. Some were, particularly from 1620 to 1850. However, none of those who were fighting for the Confederacy owned slaves. It boggles my mind that people doubt that this country was established by Christians. Most Christians, especially Baptists, never intended to impose their faith on others; however, their beliefs were extremely important to them, and they were willing to risk all for freedom of worship. Having become a follower of Jesus Christ at an early age, I treasure every insight into the convictions of those who came before me. 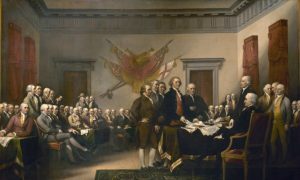 Not only did they establish the country, they established me in the faith before I was even born. I am awed by and grateful for what they were able to do. 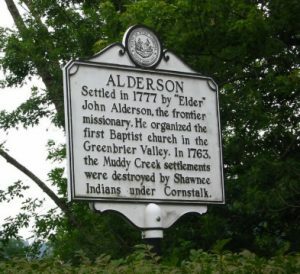 One of the most significant ancestral accomplishments in my mind is the formation of the Old Greenbrier Baptist Church in Alderson, West Virginia. Strangely, Alderson is in both Monroe County and Greenbrier County. The photo (left, taken by my son when we were there in 2002) shows the building as it looks today, not the original building. However, as far as I can determine, the church is on the original site, and the cemetery is full of many early church members. (The photo at right was posted by Chris McVey at Findagrave.com.) 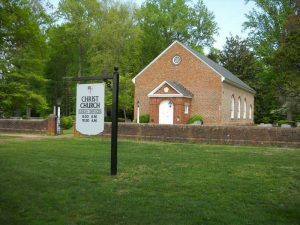 The church was started by at least three of my direct ancestors: Bailey and Ann “Nancy” Wood and John Skaggs and first wife Katherine Skaggs. Since no one knows the parents of Bailey, Ann, or Katherine, it is possible they were not immigrants at the time but had been living here for several generations. 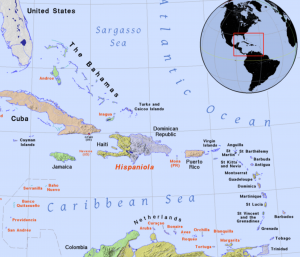 However, they were new to this part of the country and had hope for a new future with the end of the Revolution in 1781. 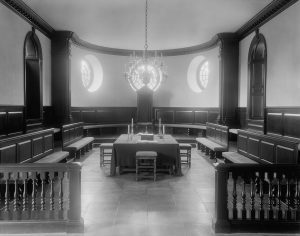 “Thirty-six days after the surrender at Yorktown, this church was organized by a company of twelve Baptists who had settled in this almost wilderness.” Their pastor was Rev. John Alderson, Jr., a true missionary and visionary in establishing Baptist principles where few had heard of them. 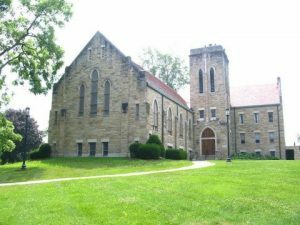 “When this church was organized on November 24, 1781, it was the first church of any denomination in what is now all of southern West Virginia.” Despite starting with only those 12 Baptists, Baptist numbers have increased to millions who live in that region today. To get a more comprehensive understanding, please read the account of the 130th anniversary celebration, which was held in 1911. Here it is — an account preserved in West Virginia Archives and History. 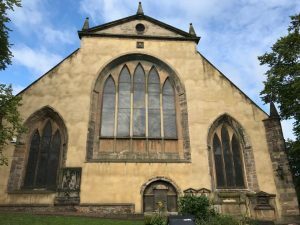 More about the Aldersons can be found here, thanks to the excellent scholarship of David Fridley. John and his second wife Catherine (“Kitty”) are buried in the Greenbrier Baptist Church Cemetery, though Catherine’s death date is incorrect. John’s father, Thomas Skaggs, is also buried there, but the grave is not marked. Thomas became a member eventually, but he was not a charter member. 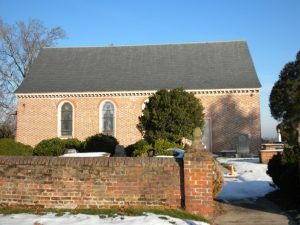 Evidence in Prince George County, Maryland, vital records suggests that he was the son of Richard Skaggs, Jr., and Mary Brashier and was baptized in this church. Around 1792, Bailey moved 55 miles away from Greenbrier Church. This was not far in today’s terms, but, at that time, it must have seemed quite far. Bailey’s property was within the Monroe County boundary when it was created in 1799. 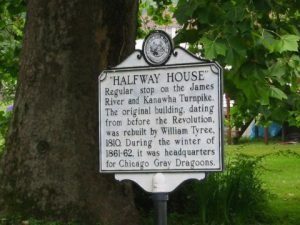 He moved one more time–to Nicholas County before 1820, but this property was in Fayette County when it was created in 1831. 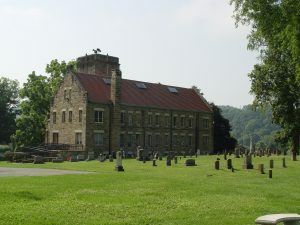 Shirley Donnelly, in Historical Notes on Fayette County, West Virginia, wrote: “Those ‘squatters’ built homes at Ansted about the year 1790, exact year being unknown. Among them were the families of James Lykens, Willliam Parrish, James Taylor, Bailey Wood, and others. These were religious people of Baptist persuasion and built at Ansted th e first meeting house in the county. That log church stood across the road from the later day historic Tyree Tavern [left, built in 1810] and a hundred yards or so to the east of it. They called it the Hopewell Baptist Church. Early records, if kept, have been lost. Hopewell Baptist Church, some miles west of the town of Ansted is the outgrowth of that early organization.” Wikipedia also has a page about the first settlers of Ansted. Below are the members listed on that document. Next to some of the names, I have added information in parentheses to give the reader a better idea of who they were. Out of the 23 members, nine were relatives of John and Catherine Hicks Skaggs, and four were relatives of the Rev. 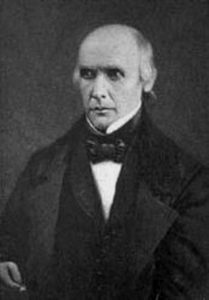 John Alderson, who had died 12 years earlier. The list includes some dates of death and dates of dismissal (when members moved away or left the church). Thomas Alderson and his wife died in 1837 and 1835, respectively. John Skaggs died in 1839. John’s wife, Catherine (Kitty), did not die before 1851, according to 1850 census records. From the supplemental information shown, it appears that her daughters Catherine, Mary (Polly), Susan, and Sarah (Sally) all left the church within a couple of years of their mother’s death. 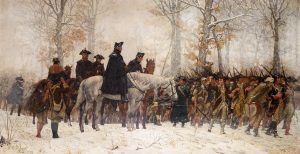 As mentioned in Part 1, Bailey Wood and his wife Ann (also called Nancy) were founding members of Greenbrier Baptist Church in 1781, formed right after the surrender at Yorktown that ended the Revolutionary War. About ten years later, Bailey moved away to an area now in Fayette County, West Virginia, along with a few other families who became “squatters”. As discussed in Part 2, Bailey was one of the founding members of a new church called Hopewell Baptist Church. John Wood was probably related in some way. The relationship with Charles Johnson is not known, but it seems reasonable to surmise that he was a brother of Elizabeth. Allen’s role in the spiritual development of the Ansted community was significant. He was a Baptist preacher who traveled about the countryside, and he also preached in the Ansted area. 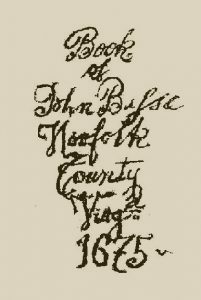 The Virginia Baptist Historical Society in Richmond, Virginia, verifies that Allen Wood was a missionary serving in the territory of the Western Virginia Baptist Association as early as 1846, with his address as Mountain Cove (later Ansted), Fayette County, Virginia. 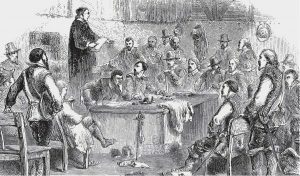 Fayette County, Virginia (now WV), court records show that Allen Wood, a minister of the Baptist church, presented his credentials of ordination, took the oath of allegiance, and was granted a testimonial before the Fayette County Court in January 1850. Subsequently, Allen Wood performed many marriages between 1850 and 1861 in Fayette County. Mr. Shirley Donnelly, in an article in the Fayette Tribune, date unknown, stated: “Jeanette Missionary Baptist Church was formed in 1853 with 14 members. 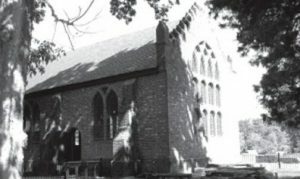 The first house of worship was built by Col. Geo. Alderson, who gave it the name of Jeanette in honor of his first wife. Its first pastor was Rev. Allen Wood.” The name is sometimes spelled “Jennette”. The diary of James B. Hamilton, begun on January 1, 1858, has been preserved in the History of Fayette County, West Virginia. In this diary, Hamilton reports on many of the events leading up to and involving the Civil War. He also reveals his own spiritual inclinations by reporting on church services and expressing his disappointment when there were no services on a given “sabbath.” If there was no sermon, he would stay home and read the Bible or the writings of Charles Spurgeon. He mentions going to Woodville to attend singing, debates, and prayer meetings. On April 17, 1858, Hamilton mentions preaching for the first time. The diary entry reads, ” Very good sermon by Amos Wood” (Allen’s brother). Hamilton was apparently well-acquainted with the Wood family because he also mentions helping Eli Wood (Allen’s first cousin) in his store. On June 20, his diary entry says, “Went to Church. Allen preached a very good sermon.” On July 3, Hamilton reports going to Gauley Bridge to a celebration at which he hears several people speak. A few months later, on September 19, Hamilton reports, “Attended church. Rev. Allen Wood preached a good sermon.” In October, he reported helping Eli Wood to make a school. On Oct. 16: “Went to church. Good sermon by Rev. Allen Wood.” On Oct. 20: “Went to church today. Rev. Allen Wood delivered the best sermon that I have ever heard him preach. Nancy Wood baptized today.” He also went to church for the next four days, when he reported on the preaching of several individuals and the baptism of four. By the end of the year, Hamilton had completed the building of a school in which 29 pupils were enrolled. He was the teacher. On January 14, he reported: “James Wood, Sr. died last night.” It seems likely he was a related to Rev. Allen Wood. Though Hamilton mentions hearing others preach, Allen Wood is the only one he mentions repeatedly. 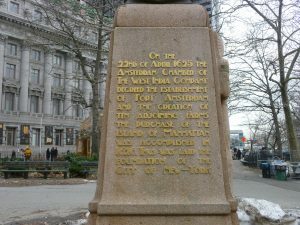 On Feb. 19, 1859: “Rev. Allen Wood preached on Matthew 18. 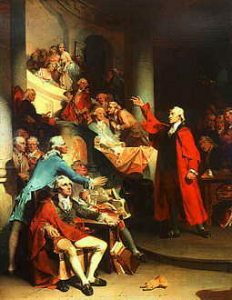 Very good turn out at Temperance meeting.” On March 28, he reported on the marriage of Johnson Wood and Mary Ann Vandal. Johnson Wood (right) was the son of Allen and Elizabeth and would later become well known as an excellent teacher and mathematician. April 16, 1859: “At church. Heard Allen Wood on Hebrews 12:10.” In June, he reported hearing the preaching of Martin Bibb, Eli Wood, and others. At least 12 joined the church. Not much is written over the next couple of years except Hamilton’s reflections on his spiritual growth and the activities building up to the Civil War. Overall, Hamilton’s diary reveals the character of an entire community, its citizens striving for high standards of personal morality and a commitment to pleasing God. 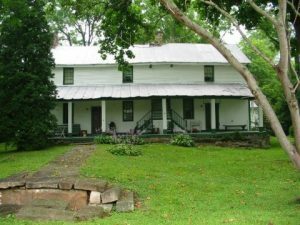 The Wood family, among many others, played a major role in spiritual affairs of the Ansted/Woodville/Mountain Cove area. The Jennette Baptist Church, of which Rev. Allen Wood was pastor, was burned by Union troops during the war. It was not rebuilt until quite a few years later and eventually relocated to the Edmond area.